The Northern Australia Biosecurity Surveillance (NABS) project is part of the Australian Government’s Agricultural Competitiveness White Paper, the government’s plan for stronger farmers and a stronger economy. 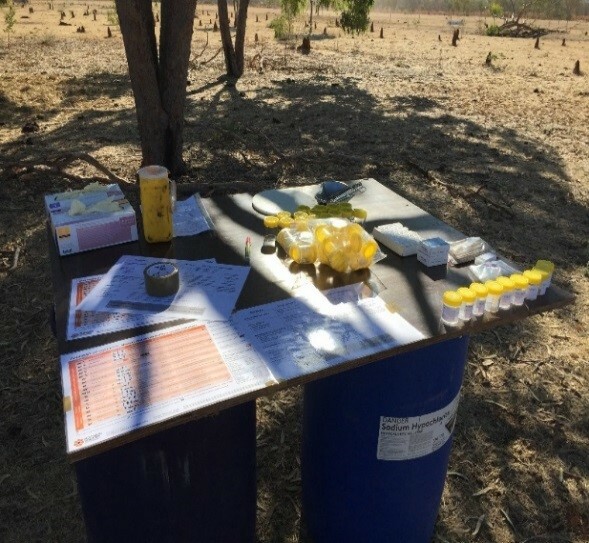 It is a coordinated surveillance program to enhance the early detection of exotic disease incursions and to provide sufficient surveillance information to underpin proof of freedom from trade-sensitive diseases in northern Australia. It is funded by the Commonwealth Government and supported by the Northern Territory, Western Australian and Queensland jurisdictions and Animal Health Australia. Subsidies of up to $2,000 are available for disease investigations in cattle conducted by private vets until June 2019. An additional $300 is also available for cattle showing nervous signs where a post-mortem is performed and the brain collected for ‘mad cow’ exclusion testing. For investigations in horses and other species, subsidies of up to $250 are available. Contact your regional vet or livestock biosecurity officer for more information. Have you got your post-mortem kit yet? NABS recognises that pastoralists may observe unusual signs of disease in their animals and not be able to have a vet collect samples from affected animals in a timely manner. In order to enable samples to be collected at the time of the disease event, pastoralists are encouraged to collect some samples while they discuss the case with their vets. 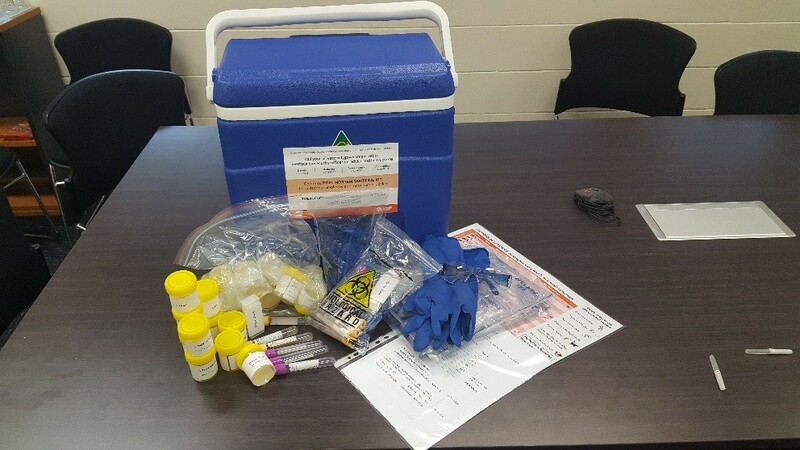 To obtain a post-mortem kit for your property, contact your regional livestock biosecurity office. Regional post-mortem workshops will also be throughout the season to learn how to approach a post-mortem and sample collection. A 3 hour disease investigation workshop was held in Kununurra in May. Eight properties from the NT and WA were represented at the workshop, which covered an introductory approach to post-mortems, laboratory sampling, humane destruction and the importance of having a biosecurity plan. In August, over 30 NT producers attended a cattle post-mortem demonstration during the Kidman Springs Field Day. The demonstration showed participants how to open a carcass for post-mortem, the signs of some common cattle diseases, what samples to take and who to contact for advice. Future workshops are being planned across the NT in the coming months. To express interest in participating in future workshops, contact your regional livestock biosecurity office.